Don Carlos Buell (1818-98), Major General, USA. Participated at Shiloh, Perryville. 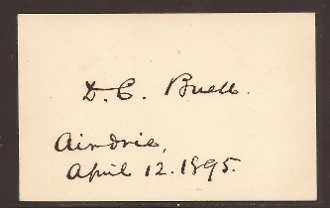 Card Signed (CS) with addtess Airdrie (KY), April 12, 1895.